I love the company's vision to empower vulnerable people groups through economic development. It's such a fun business model that blesses so many people along the way. 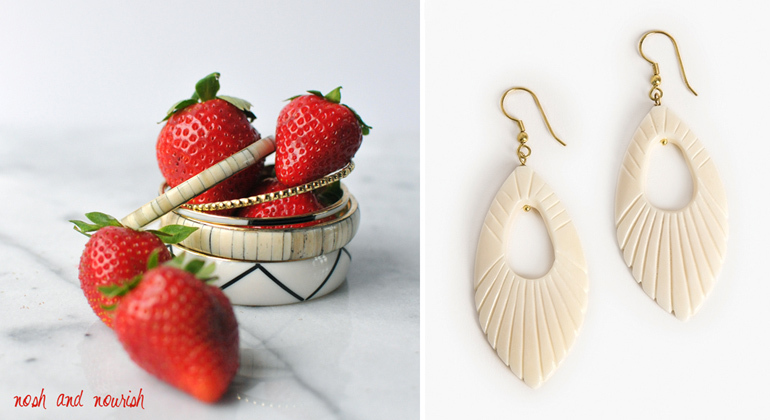 It allows people here in States to give a better, fair marketplace to these gorgeous, handmade goods. Meanwhile the artisans are getting a livable wage, providing education to their children, breaking the cycle of poverty, enriching their communities, and getting access to healthcare. And all we have to do to help is buy beautiful jewelry! I love this girl and this face so much. She had a blast trying on all my jewelry AND taste-testing creamsicles. 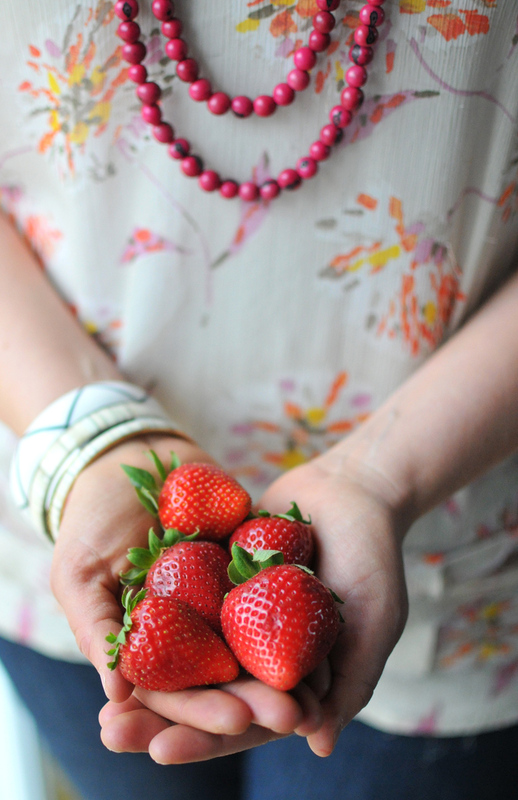 We started with super sweet, organic strawberries. Trust me, organic ones are sweeter... and soooooo worth the extra one or even two dollars. Did you notice those gorgeous bazaar bangle bracelets in the photo above? Yes, they're Noonday. And I have been LOVING THEM -- especially paired with these carved plume earrings!! Babycakes saw me all dressed up and said, "WOW, Mommy... you look so STYLISH!" 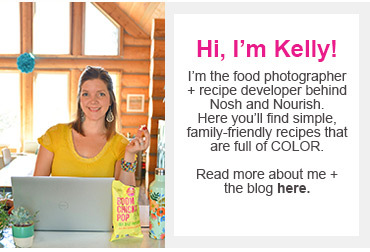 When thinking about what to create for this post, I knew I had to incorporate acai berry juice! These creamsicles are bright and vivid and bold in their colors, just like the acai necklace! They are colored completely naturally from real fruit and veggies and are dairy-free thanks to the Silk strawberry dairy-free yogurt alternative. Remember I introduced you to their new yogurt in this post? 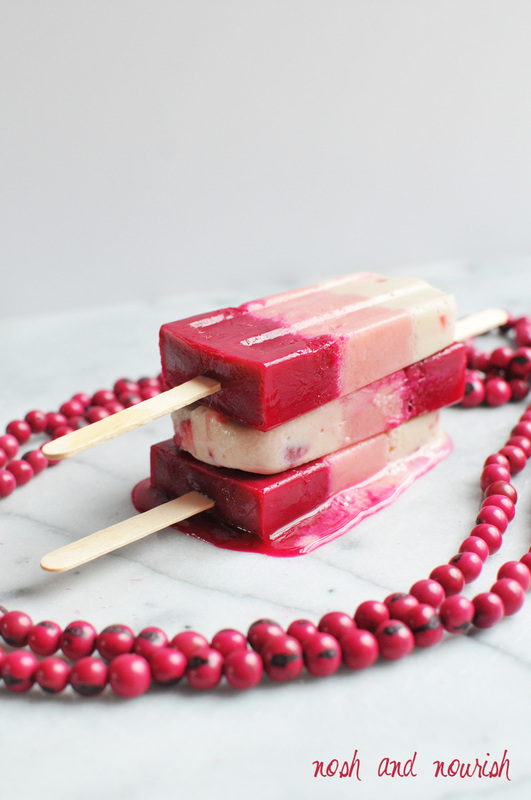 So you're going to want to make a batch of these creamsicles asap... and enter to win the acai necklace. It really is beautiful and super well made. 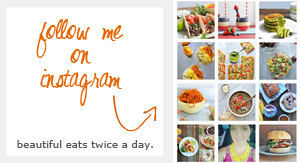 1 signed copy of my cookbook, Superfoods at Every Meal! 1 Entry - no purchase necessary: Go to this Noonday Collection, and then leave a comment below with which item you'd want first (besides the Acai Rope Necklace)! (bonus entries) -- Get 3 bonus entries for purchasing any Noonday item from the collection. Giveaway will end 5/19 at 8pm MST and winners will be announced the following week! Giveaway is open to blog readers in the US only. *to roast a small beet, preheat oven to 425 degrees. Peel the beet then wrap in aluminum foil with a teaspoon of olive oil. 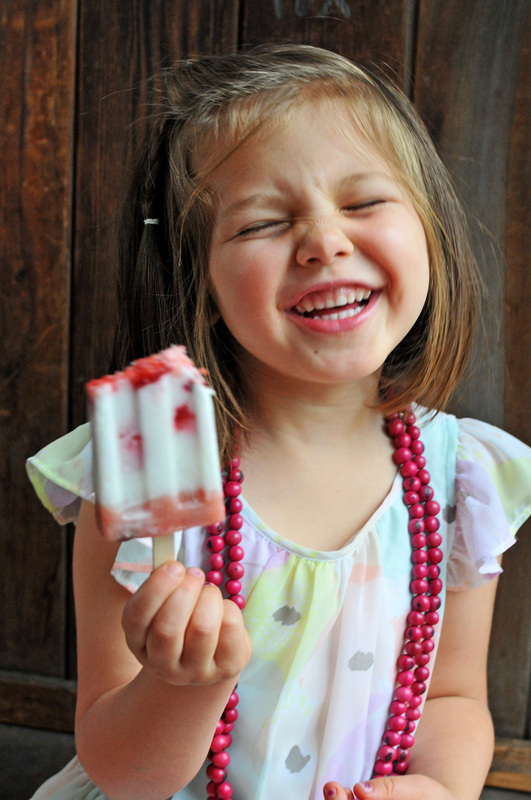 Bake for 45 minutes, then let cool in the fridge before adding to popsicles! 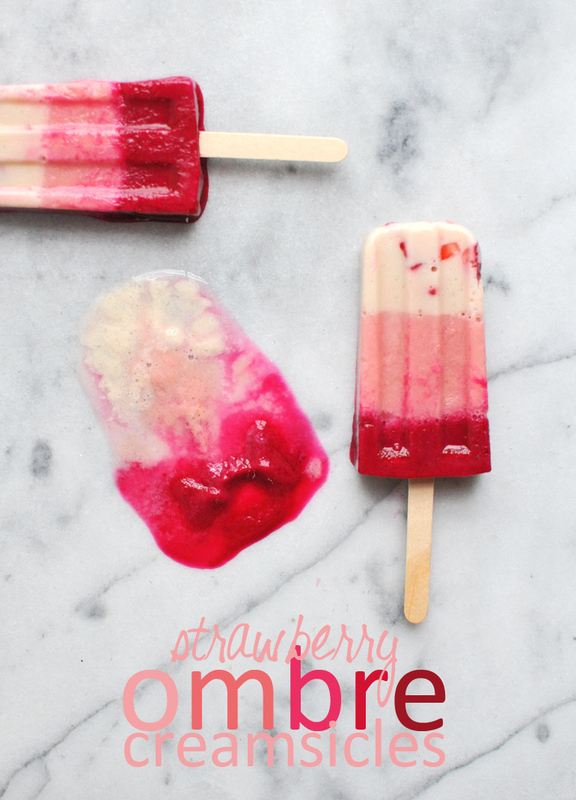 Dice the 4 strawberries, then add equal amounts into the bottom of each popsicle cup. In a high powered blender (I use a Blendtec), combine the almondmilk, yogurt, and banana. Blend until smooth. Put the popsicles in the freezer for an hour. Meanwhile, do not clean out the blender. Leave the leftover mixture and then add in 3/4 cup acai juice, 1/4 cup sugar, and 6 additional strawberries. Blend until smooth. Put the posicles in the freezer for an hour. Meanwhile, do not clean out the blender. Leave the leftover mixture and then add in 1/2 of the small roasted beet plus 1/4 cup strawberry jam. Blend until smooth. Once the 2nd strawberry layer is thoroughly frozen, pour on the darkest top layer, filling each cup all the way to the top. Put the popsicles in the freezer for two hours... then, devour! ALTERNATIVELY, if you don't need/want the layers, just blend all the ingredients together at the start!